Street food is a very popular trend in India. Once you step out of your school or college or office, there will be a variety of different kinds of street food and stalls to choose from. Again, each State and city has different specialty to offer. If you go to streets of Mumbai, the most popular thing to find there would probably be a ‘Vada Pav’ or ‘Pav Bhaji’. If you go to Hyderabad, it probably would be ‘Cut mirchi’ or ‘Mirchi Bajji’. If you go to Kerala, the items change to ‘Paruppu vada/Dal vada’ or ‘Pazhampori/Banana fritters’. Interesting thing is, you get the authentic and the most amazing flavors of these items in street stalls only. 1. For making the masala , boil the potato , mash it and keep aside. 3. Add the onion, green chilli and coriander leaves from step 2 to the mashed potato. To it add half tsp of chaat masala. 4. 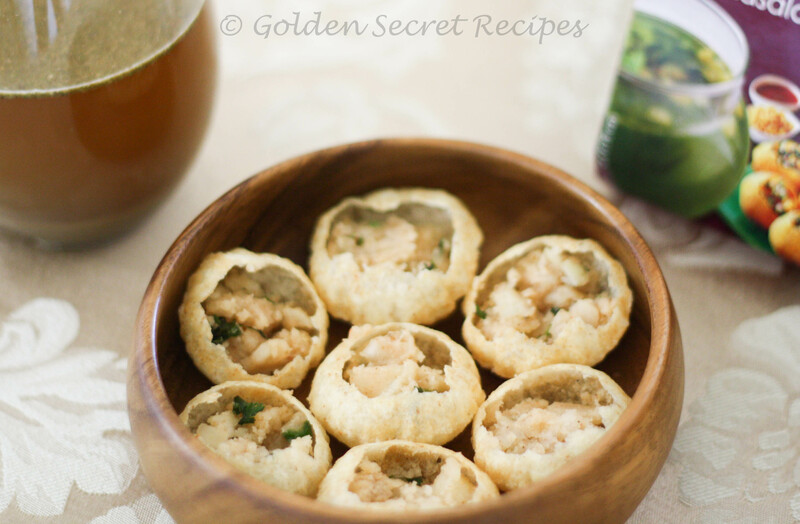 For making the ‘Pani’ (Pani means water in Hindi) of the Pani puri, take 2 cups of water(preferably cold water). To it add the Pani puri masala(Everest is the best I have tasted so far). Also add the remaining half tsp of chaat masala to it and mix well. 5. Now take the puri and make a hole on one side of the puri. Usually one side of the puri will be more brittle. Just tap or press the puri on one side using your thumb. 6. Spoon in the masala into the puri through the hole you created in the puri. 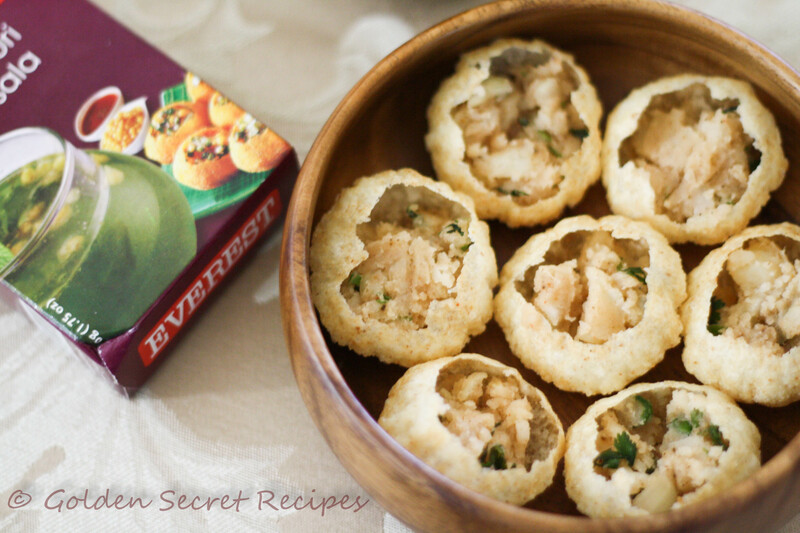 This entry was posted in Appetizer 'N' Starters, Fast food 'N' Street bites, Quick 'N' Easy Recipes, Specialities-Veggie and tagged Easy Chaat recipe, Easy pani puri recipe, golgappa, Golgappa recipe, pani puri, Pani puri recipe using store bought masala, street food, Street style pani puri recipe. Bookmark the permalink.